With the Baltimore County and Maryland Community College Promise scholarship programs, college-ready, recent high school graduates can attend CCBC full time without the cost of tuition and fees. Be a recent graduate of a public, parochial or private high school, home instruction program, or GED recipient. 2018 and 2017 graduates qualify to apply award toward Spring 2019 CCBC enrollment. Final, unweighted cumulative high school GPA of at least 2.5. GED score of at least 165 in language arts and mathematical reasoning. College-level course placement (using SAT, ACT or CCBC placement test scores). Submit 2018–2019 FAFSA to enroll at CCBC for Spring 2019. Submit 2019–2020 FAFSA to enroll at CCBC for Fall 2019. *Fall 2019 awards pending Baltimore County Council funding for the 2019-2020 budget. Be a recent graduate of a Maryland public, parochial or private high school, or a Maryland GED recipient. 2019 and 2018 graduates qualify to apply award toward Fall 2019 CCBC enrollment. Have a final, unweighted cumulative high school GPA of at least 2.3. Be eligible for college-level coursework. Enroll full time (12 or more credits). For more information, visit the Maryland Higher Education Commission website. Note: Maryland College Promise covers a maximum of $5,000 per academic year and requires one year of employment in the state of Maryland for each year a scholarship is received. Eligibility requirements are subject to change. Complete the FAFSA at fafsa.gov. CCBC’s school code is 002063. Complete General Application in AcademicWorks. Submit all required documentation to Financial Aid Office. Students can login to SIMON account to view all requested documents under Financial Aid. Complete the FAFSA at fafsa.gov. Deadline is March 1, 2019. MD CAPS application for the Maryland Community College Promise will be available April 1 to June 15, 2019. Submit all requested documentation including final official high school transcript to MHEC by June 15, 2019. Students who are not eligible to complete the FAFSA should complete the Maryland State Financial Aid Application (MSFAA) to be considered for the MD Community College Promise. Deadline for MSFAA application is March 1, 2019. For additional information about how to apply for the Maryland Community College Promise scholarship, visit the Maryland Higher Education Commission website. 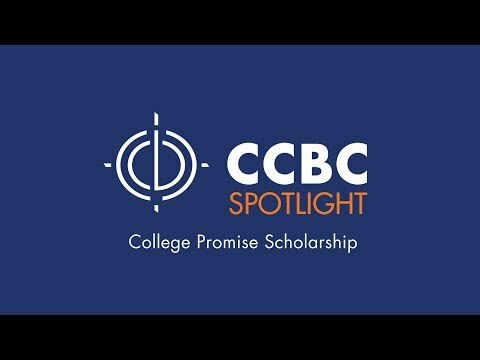 The CCBC Financial Aid office will let you know if you’re eligible for the Baltimore County College Promise scholarship via your CCBC email. Maryland Community College Promise scholarship award recipients will be notified by the Maryland Higher Education Commission. How do I maintain the College Promise? For additional information, please visit the Maryland Higher Education Commission website. College Promise makes college a reality for Patapsco High School graduate.